Do you love decorating but don’t have a large budget to spend? 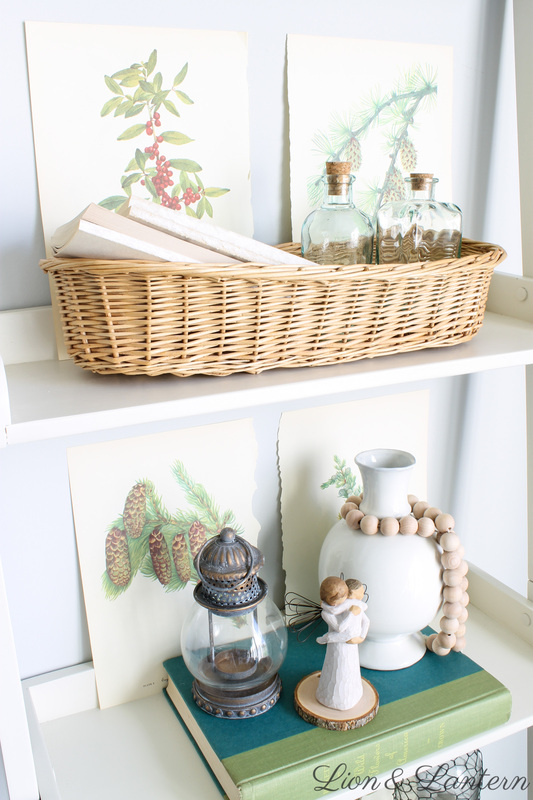 Here’s one of my favorite budget decorating secrets: use book pages as artwork! They work with or without frames and fit a variety of interior styles. Keep reading for tips and book suggestions! Hi there friend! 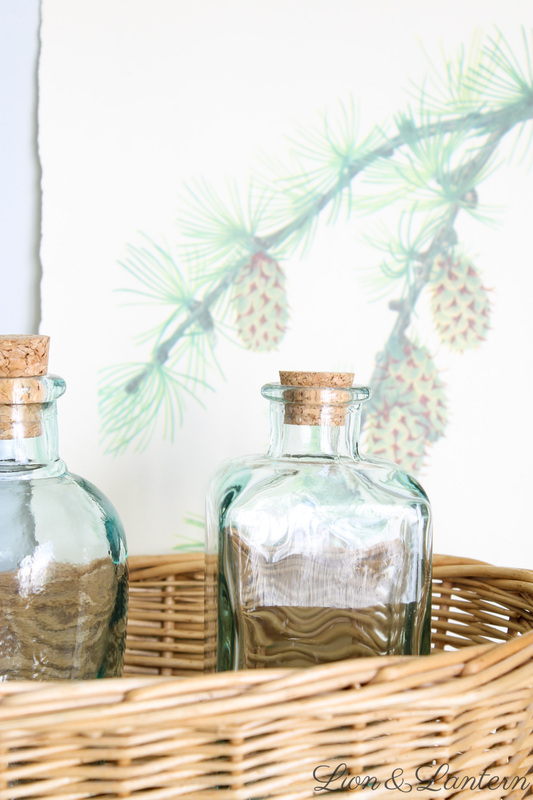 I’m so excited to be sharing one of my favorite budget decor tricks with you today. 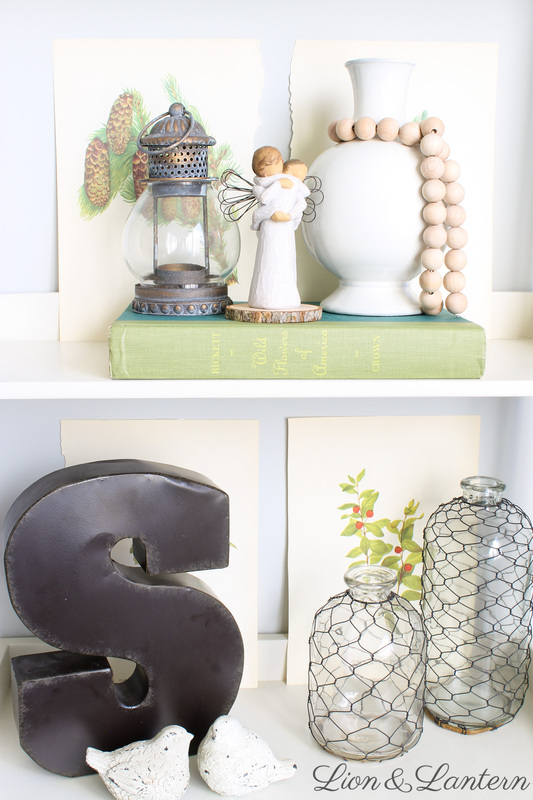 You have probably noticed that books are a big part of our home decor around here, and there are many good reasons for that! Books (especially used books) are classic, inexpensive, and versatile. 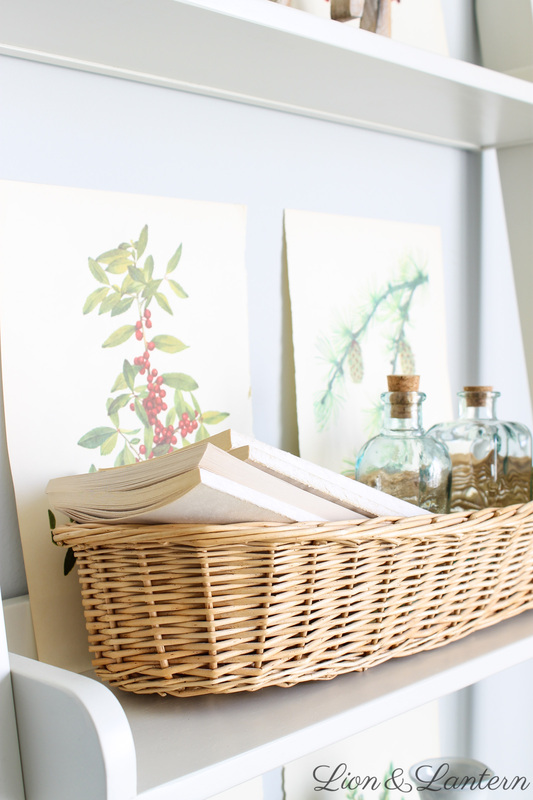 It’s also likely that you already have a collection, which means you can simply “shop your space” for decor. About a year ago I discovered this book on Amazon for only a few dollars used. 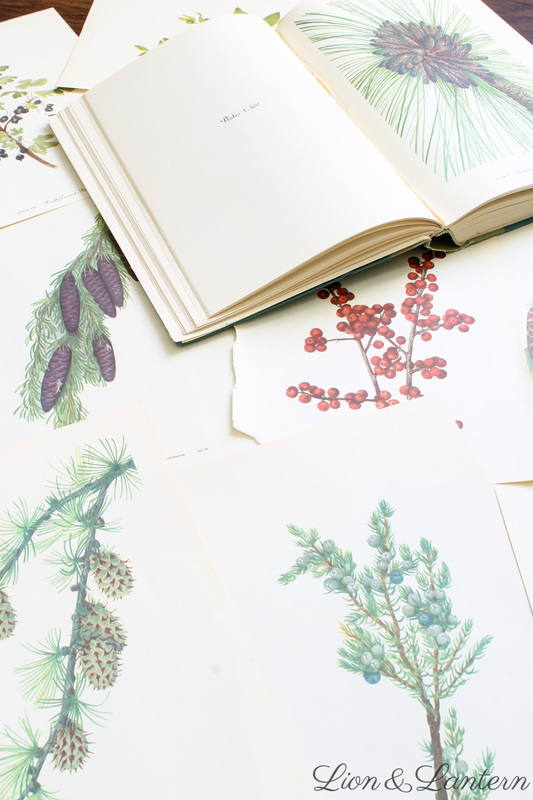 I was amazed at the simple beauty of the watercolor botanicals, and the fact that each page cost mere pennies when you divided the cost of the book by the number of beautiful pages. 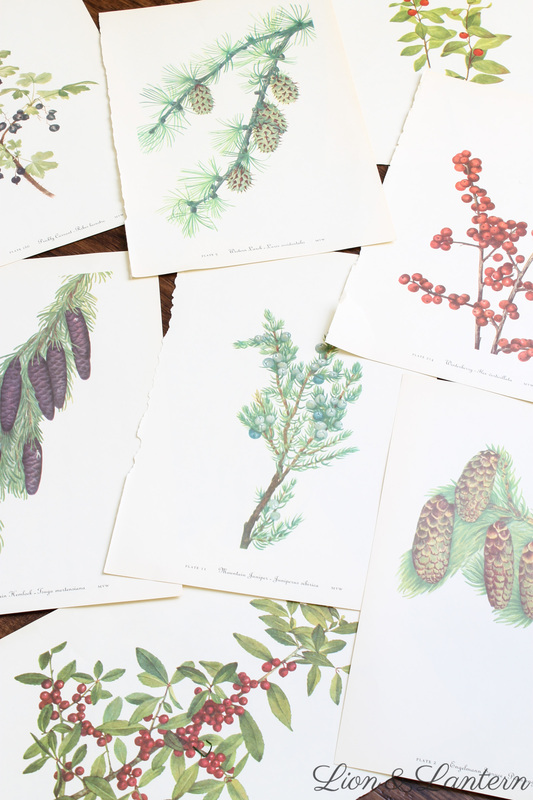 If you have ever shopped for botanical artwork, you have probably seen prints listed for $50 or sets listed in the hundreds. Yikes. 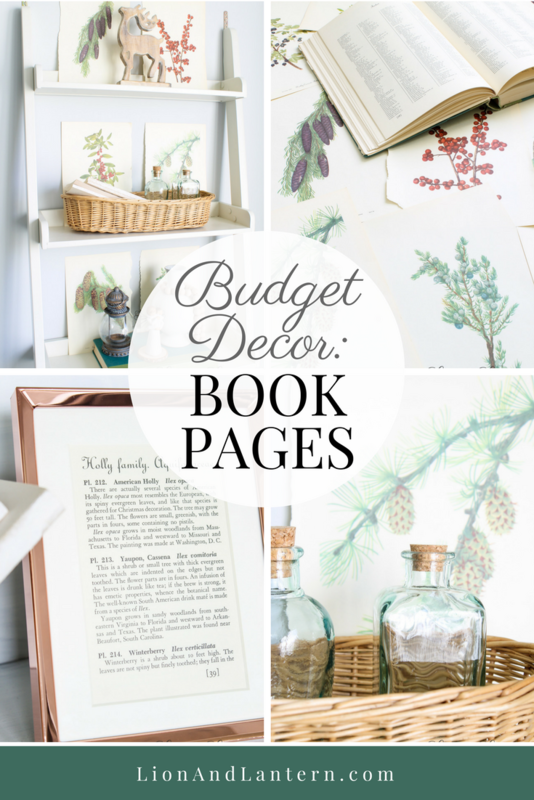 But have no fear; it is so simple to create a similar look on a budget with book pages! 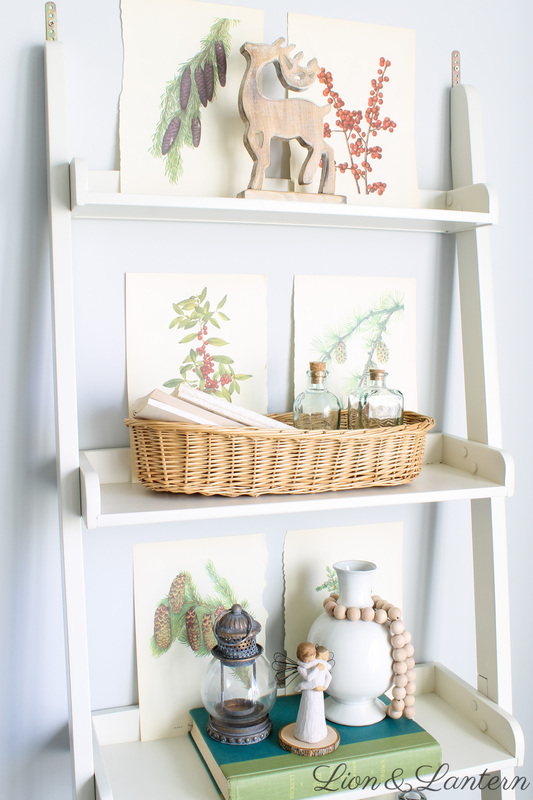 I first shared our antique white ladder shelf here with a selection of autumnal botanicals. As fall waned, I realized I could easily swap out the pages for ones depicting pinecones and berries for Christmas. 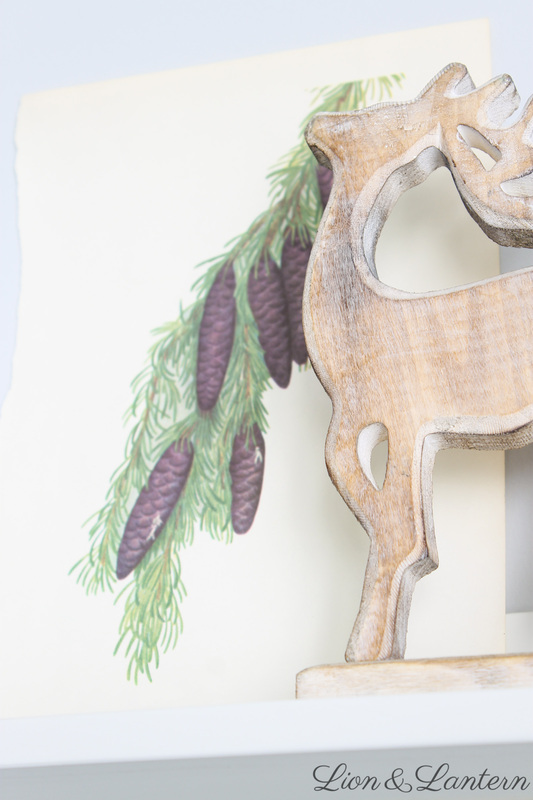 Apart from changing out the pages, I merely shuffled some other decor around, added a wooden reindeer from Hobby Lobby, and tada, this space was decked out for a new season. 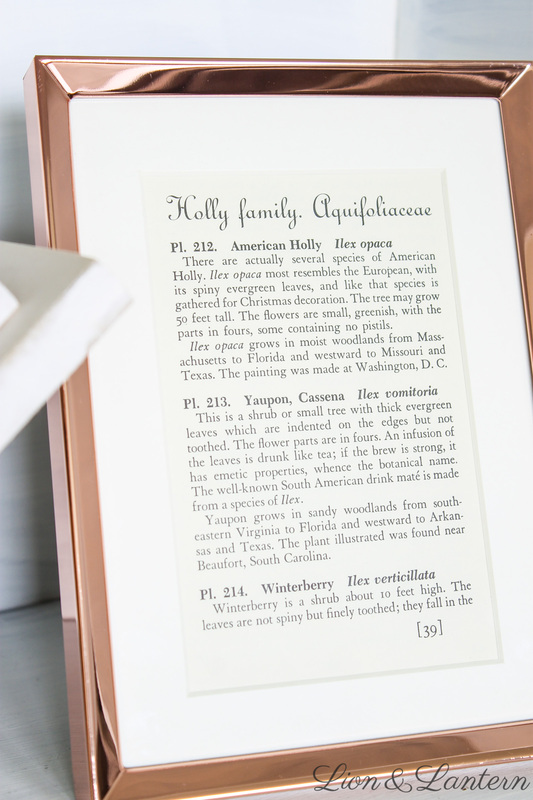 The look here is certainly on the “farmhouse” spectrum, but you could easily spice up your book pages with sleek frames for a more modern look. 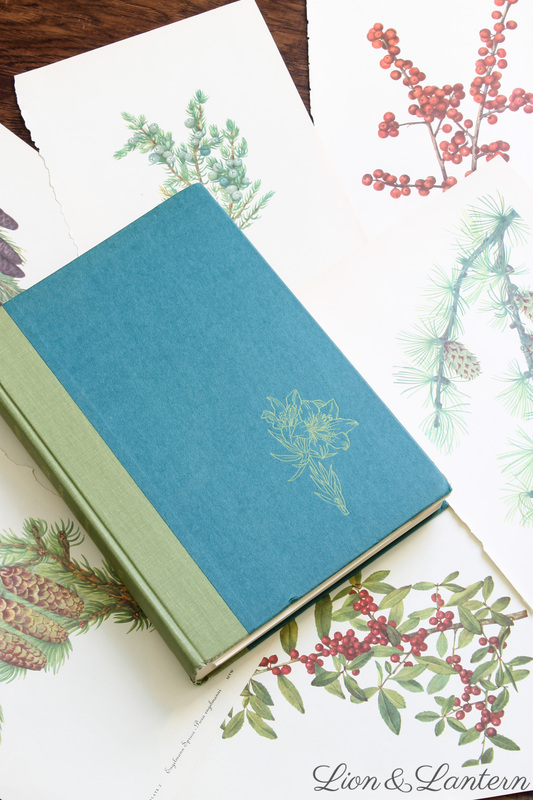 My book also has an index of plant species in addition to the watercolor prints. 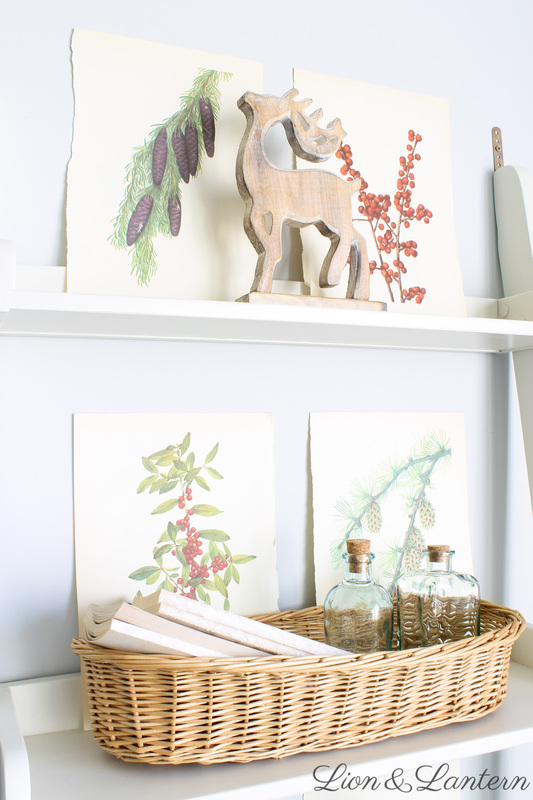 In my rustic Christmas bookshelf post I shared this simple copper frame displaying one of these index pages. This section describing holly seemed perfect for Christmastime. Looking for book ideas? Here are a few I discovered while browsing Amazon 🙂 I do not own all of these books, but they look promising! And of course, be sure to check out your local thrift store for books as well. Thanks so much for visiting today, friend! 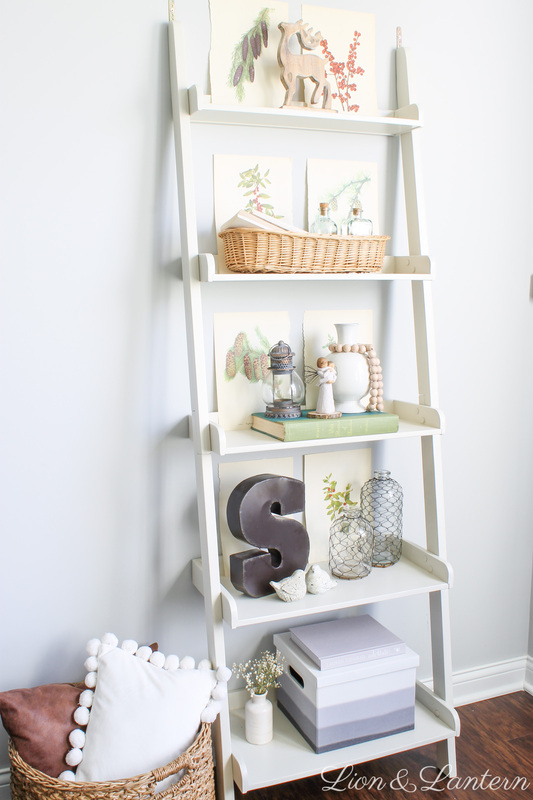 Do you enjoy decorating with books? I would love to hear your budget decor tips in the comments below 🙂 I hope you have a bright day! 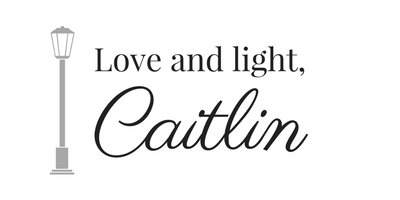 Such a great idea Caitlin and you always have lovely photos! I added this to my Pinterest boards for perusing your list of book suggestions later!